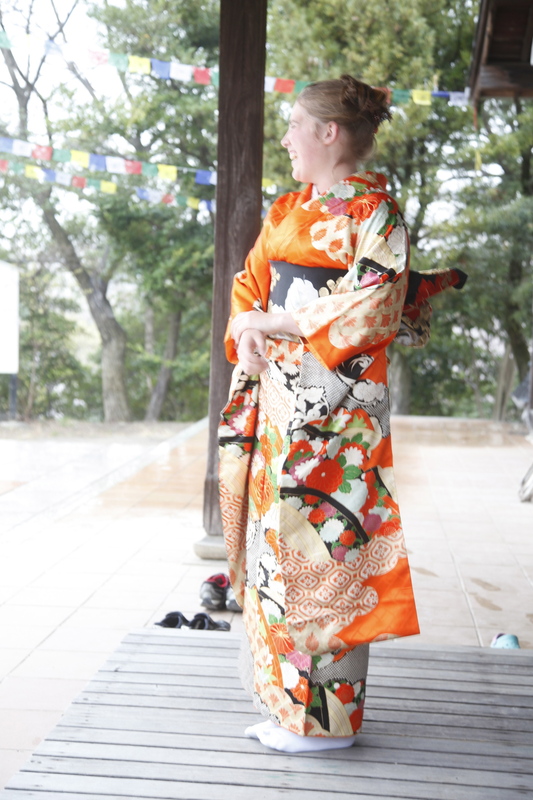 Me in a vibrant kimono. If I remember correctly, this kimono signifies a young, single lady ready to be courted. I woke up early today to appreciate the warm spring morning. I made oatmeal, brewed some coffee, and sat on my front stoop, listening to the robin’s birdsong. I love spring for many reasons, these are just a few of them. I took full advantage of this week and went on a few bike rides. 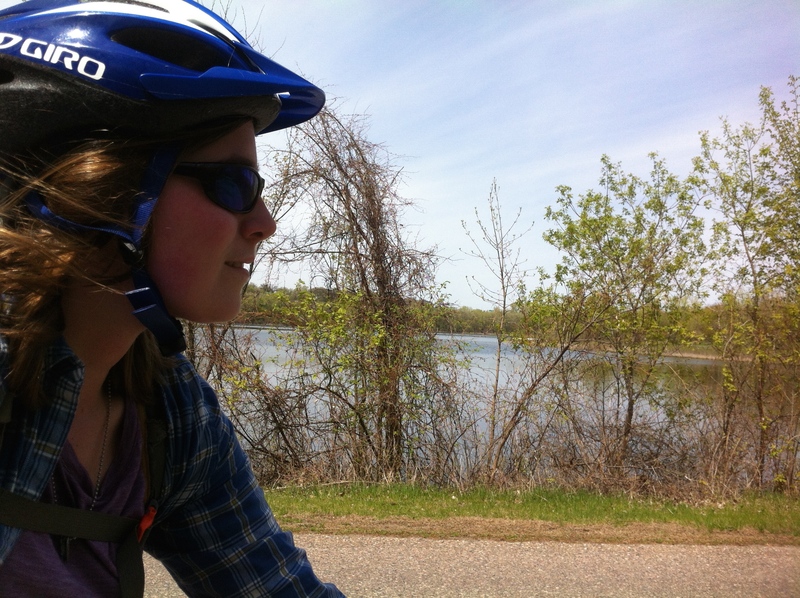 The most memorable one was my ride to Fort Snelling State Park. 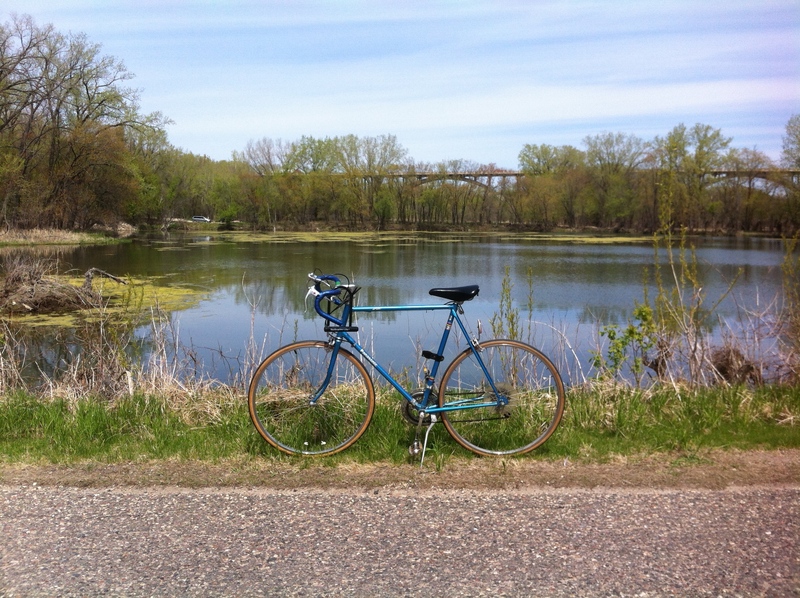 I wanted to pick up an Annual Minnesota State Parks Permit, so I jumped on my bike and headed south. If you didn’t know, there are paved bike lanes all the way to Fort Snelling. I had never biked there, so I decided to check out the bikeways. I was not disappointed. Here’s me on the paved road that leads to the park office. My dad’s old panasonic chilling by the ponds. After getting the permit, I decided to pop-a-squat next to a visitor sign on Pike Island. It felt very nice to rest my legs. On the ride back home, I stopped by Sea Salt Eatery and got myself a grilled salmon po boy. It was so good. I had never had one before, but I plan on eating another one in my near future. 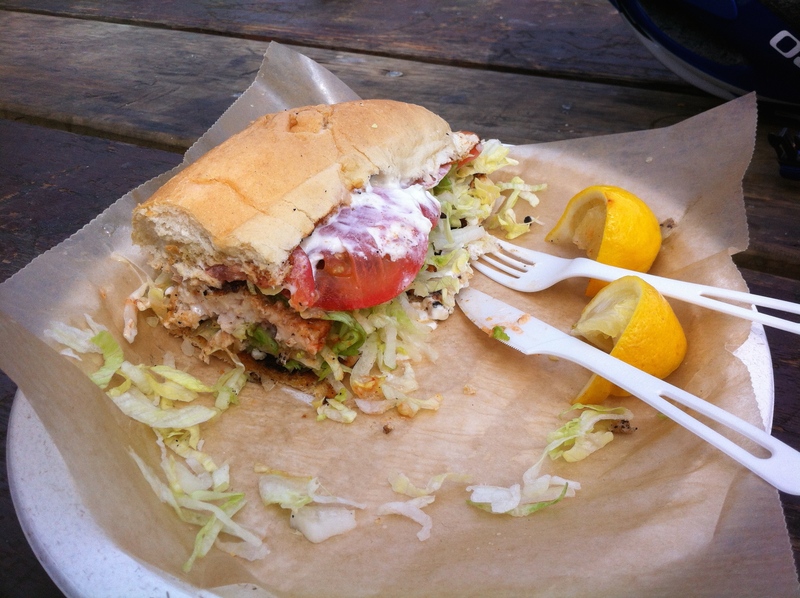 A grilled salmon po boy… mmmmmm. As for the rest of my week, I had a fun Friday as well. I hung out with my new roommates. First I made them a Japanese lunch of Uri-Dofu (scrambled egg tofu) and then we went to an antique shop to search for a key. 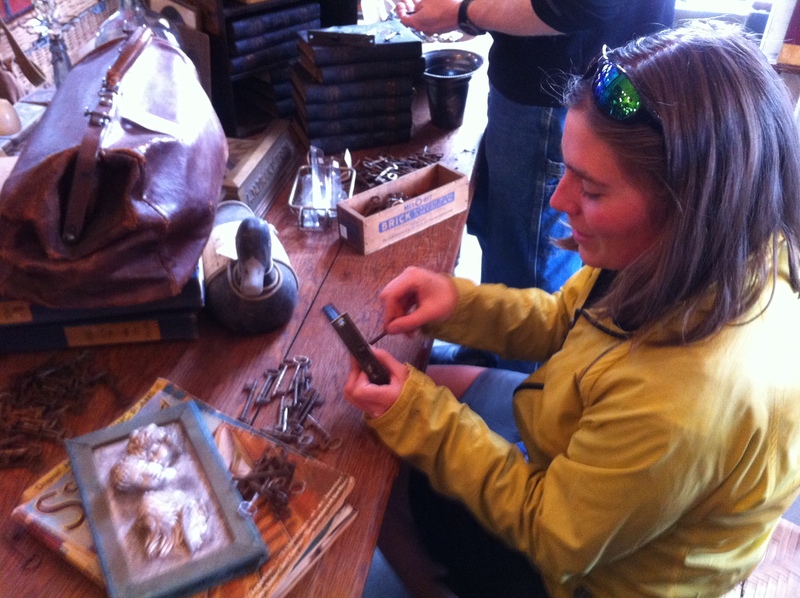 Since we live in an old house, all the locks require old keys, and something I learned recently is that you can find old keys at antique shops. 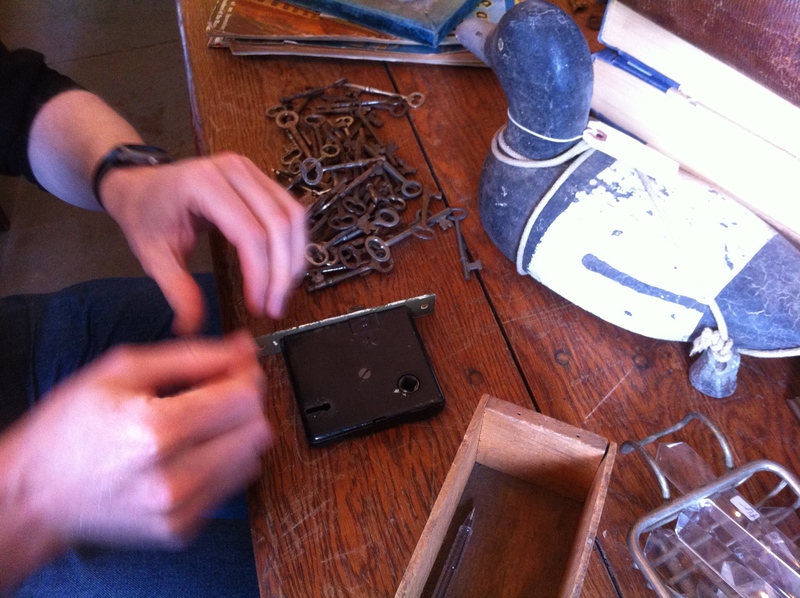 There’s buckets of them and you have to bring your own lock to test them, until you find the right fit! That big brown thing is the lock. Here’s our first key trial. It didn’t fit. Here’s me after testing key number 50-70. Whew… lots of keys! In the end, we found a key for one door, but not the other. I’ll have to go on a quest next week to find the missing key. I was told by friends, my Mom, and strangers that I gave a great presentation. 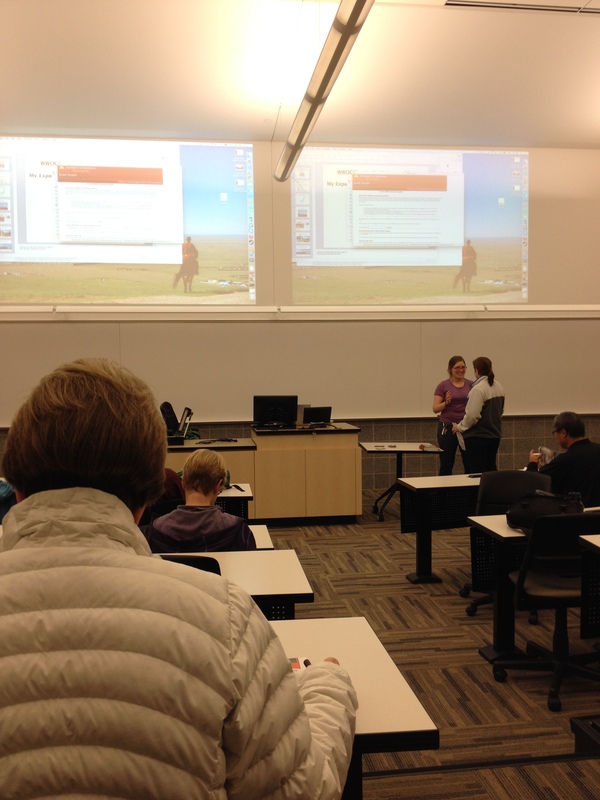 They said that having photos, video segments, and stories made my presentation engaging and fun. Almost like they were there with me. One nice lady said that it was the best presentation she saw all weekend! I was touched by all the great feedback and I am thankful to have had such a friendly audience. As for my short film, here it is. It is called Tokurin-ji: My Experiences Living in a Japanese Zen Temple. It shows you the temple grounds, the hondo (main hall), and the people who made my Japan experience unforgettable. Well, I’ll leave you here. In my next post, I’ll probably have pictures from the May Day Parade and I’ll hopefully have a better idea of what merchandise I’ll have for Spring Con!